Reliable V-brakes by PROMAX guarantee great stopping power. High-quality Shimano RevoShift twist grip shifter ensures a smooth switching between available speeds even in harsh condition. You might need additional screws for assembly. This is one of the best men's cruiser bikes! This premium bike is manufactured in Germany, which speaks a lot about its high quality. 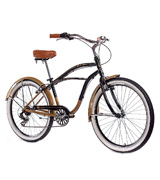 Made of luxurious materials, it has vintage design and guarantees super-comfortable rides. It offers fast acceleration and excellent manoeuvrability. The chain is equipped with a fully-enclosed chainguard that completely covers all the teeth on the chainwheel and the chain. Thanks to this design, the bike is suitable for riding in very muddy conditions. The bike has 3 speeds only. 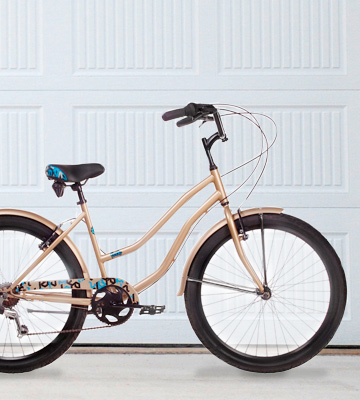 The AMMACO ladies' cruiser bike has a beautiful design. It comes with a vintage-style saddle, handlebars and a front basket. It has 3 basic speeds which are enough for comfortable commuting or riding around the town. Low step over frame 19"
The bicycle rims have a double-walled design, which adds strength to the whole construction. Yet, they don't make the bike heavier, as they are made of lightweight 6060T6 alloy. The assembly instructions are a bit tricky. Boasting soothing light blue finish and beautiful metallic painting, this cruiser won't leave you indifferent. 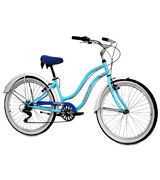 It's ideal for easy, relaxed riding by the beach, around town, or anywhere else on a paved path. The handlebar of this bike is extra-wide and extra-comfortable. 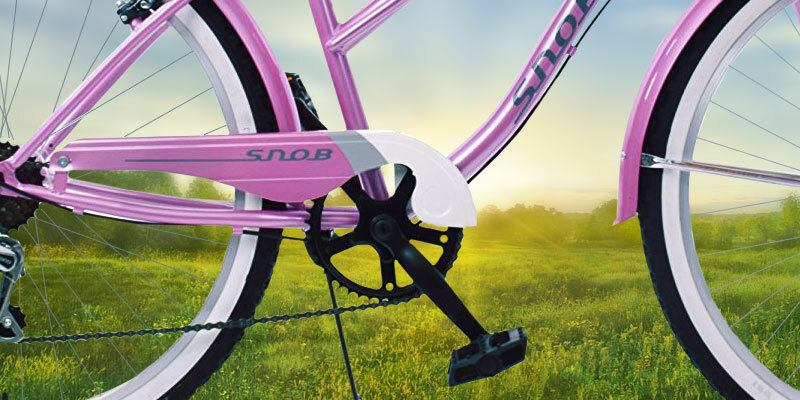 Plus, thanks to the ability to adjust its position, the bicycle is suitable for very tall ladies. The colour of the wicker basket differs from the image. 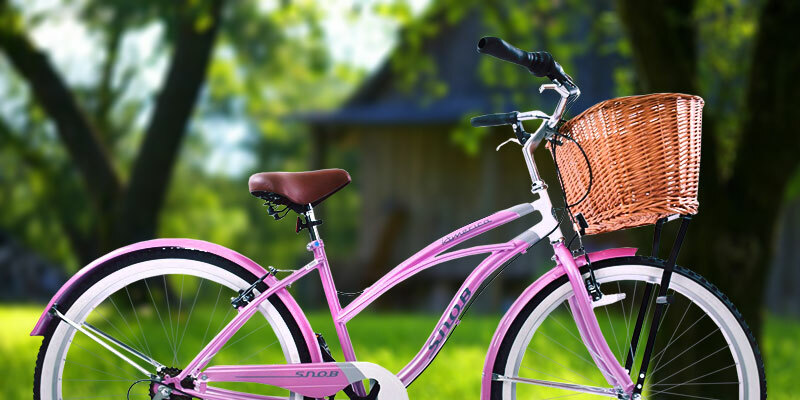 An excellent ladies' bicycle with a sturdy frame, comfortable saddle, and a capacious front basket! Also, the Ammaco ladies' bike is extremely attractive and bright. Riding on it, you'll surely receive lots of compliments. The bicycle has wide tyres which ensure a smooth ride in almost all conditions. They perform well on wet and muddy roads, hills, bumps, and sand. The soft handle grips wear out over time. 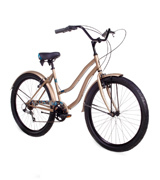 This sturdy and reliable classic cruiser bike of satin gold colour is a chic option for city rides. A V-brake system ensures a high level of safety, and a comfortable saddle guarantees maximum comfort when riding. The cruiser men's bike from CHRISSON is a luxurious option for those who value style and comfort. It's made of the highest quality materials and is stuffed with the best components ever. It uses revolutionary V-brakes by PROMAX at the front and the rear wheels. This brake system is created with a linear-pull that offers a smooth side-pull action against the housing of the tyre for an improved deceleration rate. Thus, the stopping power of this bike is really impressive. The premium alloy design of these V-brakes guarantees ultimate strength and durability. The aerodynamics rims of the bike are also made from strong alloy. Therefore, the wheels are extremely lightweight for fast accelerating. They ensure sublime braking power and extreme stability while riding at high speeds. Aerodynamic wheels also mean that you'll get 10% increase in speed over shallower rims on the flat but a similar decrease in speed on the uphill. However, it's not the mountain bike, and its aerodynamic wheels are just perfect for smooth and even city roads. They are fitted with gold fenders and look striking. The wheels are 26-inch in diameter and are best suited for riders from 178 cm to 185 cm. The bike frame itself is produced from premium 7005 alloy which boasts high tensile and yield strength, so it's extremely resistant to stretching and permanent deformation. The fact that 7005 alloy is used for structural aerospace applications speaks a lot about its strength. The frame features beautiful underclear decals which add style to the overall appearance of the bike. The cruiser has an oversized PROMAX handlebar and a stem for a comfortable riding experience. As for functionality, it has a 6-speed SHIMANO Tourney TX gearshift. 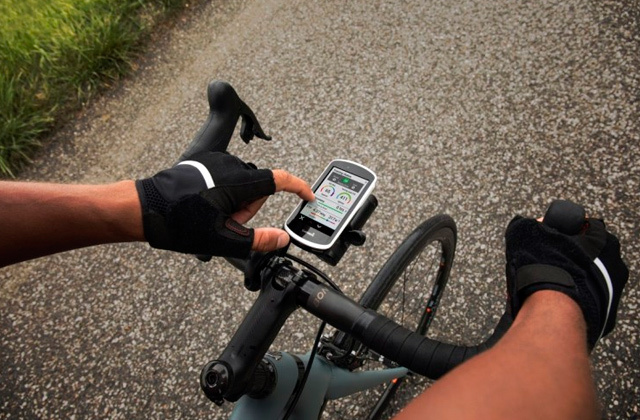 The Shimano RevoShift twist grip shifter ensures a smooth switching between the available speeds in any condition. This premium bike is designed with Selle Monte Grappa saddle and handgrips. They are completely hand-made in Italy. Both vintage-style seat and handgrips are made of top quality faux leather (Skay) that is weather-resistant. The leather is a bit tough yet comfortable. By the end of the day, you won't experience any discomfort. So, if you are one of those who often spend many kilometres riding a bike, this cruiser is a way to go. It has a vintage look and apparently is one of the best bikes on the market. 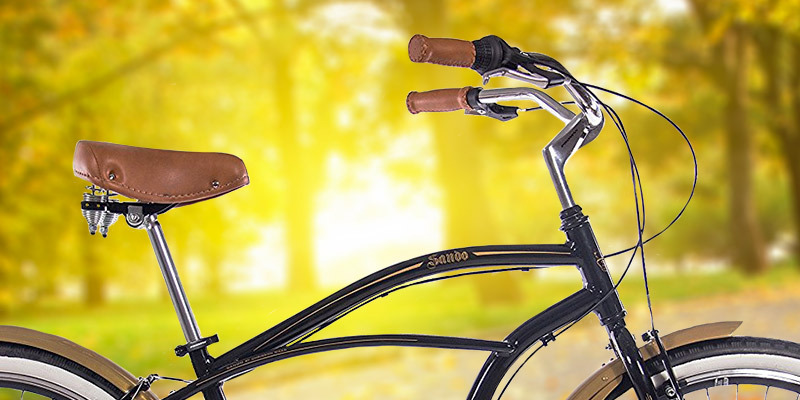 The Ammaco traditional ladies bike has a vintage design and looks gorgeous. Made with ladies' lifestyle in mind, it comes with such additional accessories as fenders, ergonomic handlebar grips, a special front basket, and a kickstand. The basket is manufactured from woven plastic and comes equipped with steel supports. It's very sturdy, stable, and has a great carrying capacity. Therefore, you can fit there almost everything you need for short trips from handbags and books to heavy parcels and small pets. This retro bike features reliable modern components. The relaxed geometry-style handlebars ensure the ideal riding position for enjoyable trips around the town. 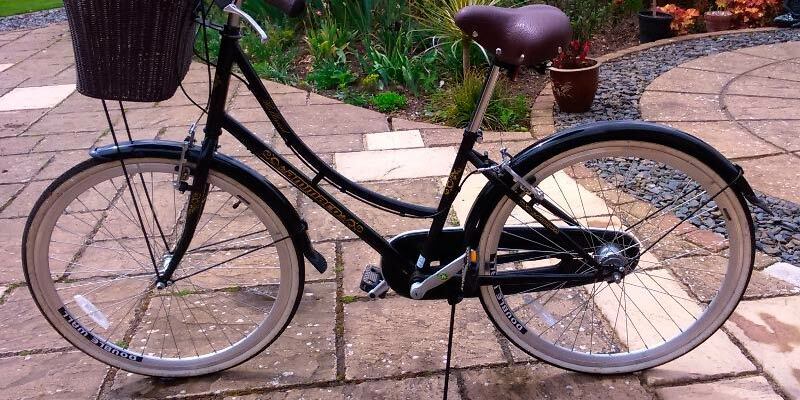 The bike has 19" frame and 26" wheels, meaning it's suitable for ladies with inside leg range of 73 cm to 86 cm. 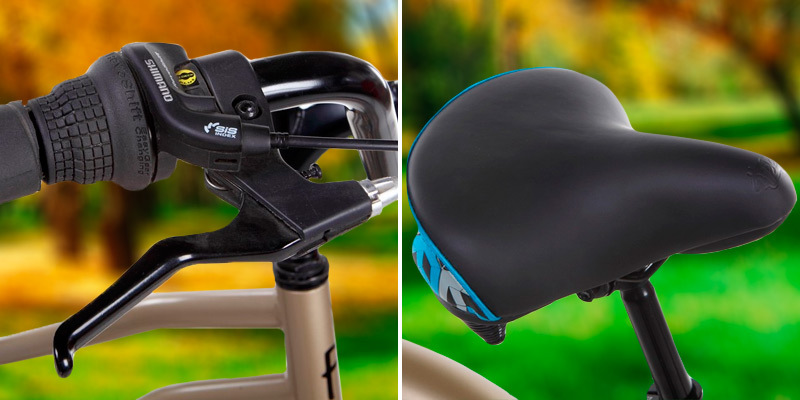 The adjustable saddle is very comfy, and the whole bicycle feels well-made. The saddle is ergonomically-shaped, and comfort grips are finished in vintage brown to complement the front carrier. The chain has a fully-enclosed guard that completely covers the chain and all the teeth on the chainwheel. The wheels are also protected with full-length chromo plastic mudguards. So, this bike is good for any weather. Even if you ride on an extremely muddy day, you can be sure that you'll stay clean and safe, while the alloy V-type brakes will guarantee great stopping in all conditions. For extra strength, the double-walled wheel rims are also made of robust and non-corroding alloy. The bicycle has 3 basic speeds and is fitted with a twist grip gear change shifter. A perfect model for casual, recreational riding on flatter terrain. It has everything a traditional city shopper needs. It's a simple bike that is fun and easy to operate. The manufacturer offers a rapid delivery of their products. 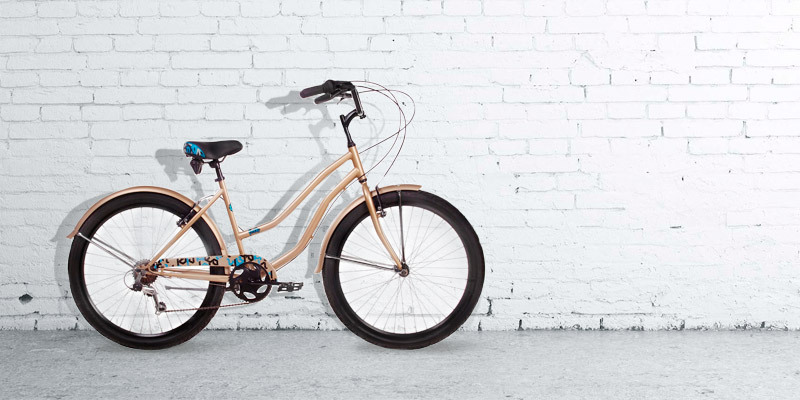 This cruiser bike for women arrives well-packaged and 90% built. It needs just final assembly and adjustment. The package includes tools required for putting all parts together. The process is simple and pretty straightforward. All you need to do is inflate the tyres and secure wheels, bars and a saddle. Also, we recommend you to check all fixings on pre-assembled parts (wheels, crank, chain, etc) and adjust the brakes and gears. Roughly, the whole assembly will take you about an hour. 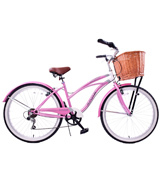 No matter whether you’re riding around the neighbourhood, doing shopping, or exploring the suburbs, the Aloha ladies' beach cruiser bike will make you enjoy the ride. It has a classic, curvy HI-TEN frame suitable for people between 150 cm and 170 cm. The frame is complemented by 26" aluminium wheels which feature durable white-wall tyres that roll smoothly and cushion the bumps as you ride over them. The wide seat by Selle Monte Grappa completes your comfort - dual springs under the saddle make every ride soft and cushy. Other features that can make your journeys more comfortable include wide handlebars with synthetic leather grips and a chainguard protecting your pant cuffs from getting caught in the chain. The bike is shipped safely-packed in a cardboard box. It comes almost preassembled (up to 85%) and you just need to put together the pedals, the handlebar, front wheel and the saddle. The bike is well-built and made to last. It uses high-quality SACCON V-Brakes (front and rear) by famous Italian brand. 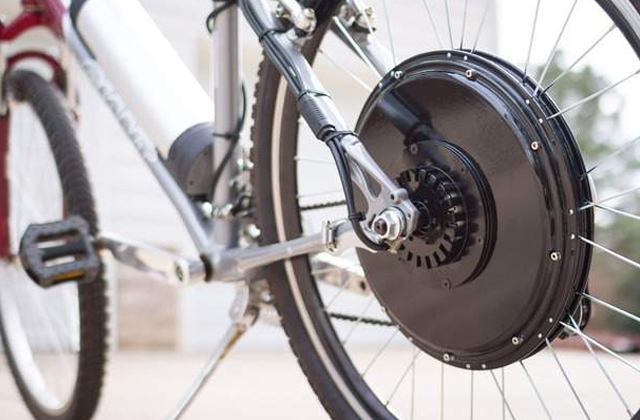 The 6-speed Shimano external hub allows you to use the bicycle for a wide range of riding – from leisure to long-distance commutes. This model boasts a nice design with the metallic painting that looks very sleek. 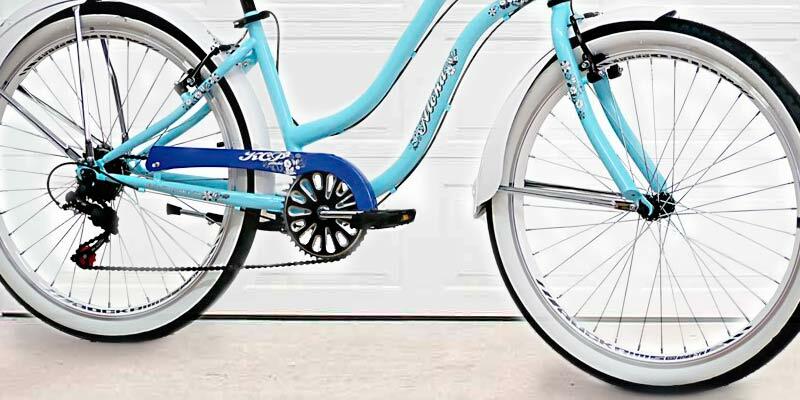 Since it's a beach cruiser, the frame is finished with soothing light blue paint. The bike will get you to your destination with style and grace! As we have already mentioned, this bike uses high-quality SACCON V-Brakes. SACCON brand was founded in 1981 from the ideas of its owner, Floriano Saccon. 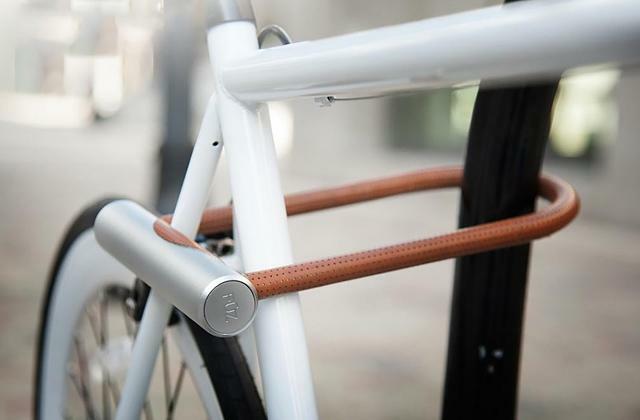 Right after foundation, the company managed to produce an innovative bicycle sheet lever. It could be mounted to the handlebar without welding. 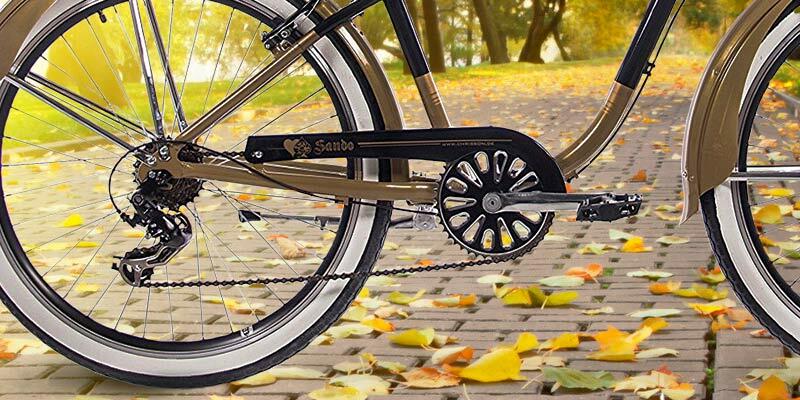 Since that time, the SACCON company has gained recognition in the field of bicycles, flexible cables, agricultural and even healthcare machine parts (braking systems for pushchairs). Apparently, SACCON engineers make use of the technologies acquired with the years of experience. All their products are subjected to testbed trials and come with an incredible guarantee. The V-brakes of this bike are not an exception. 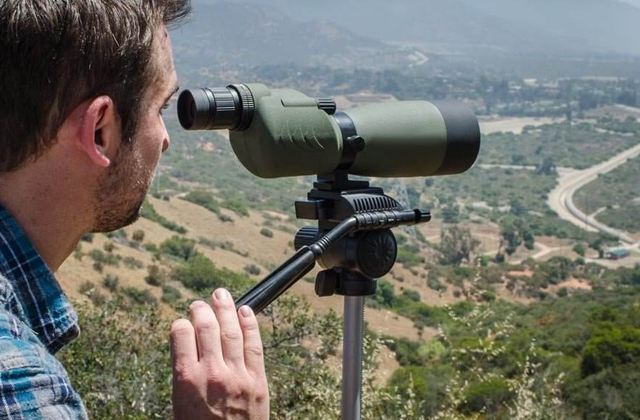 They are lightweight, durable, and easy to use. They require low maintenance as well - simply change the pads and cables when needed. They are ideal for paths without too much mud. Taking into account the preferences of ladies, the Ammaco engineers have created a bike everyone will pay attention to! 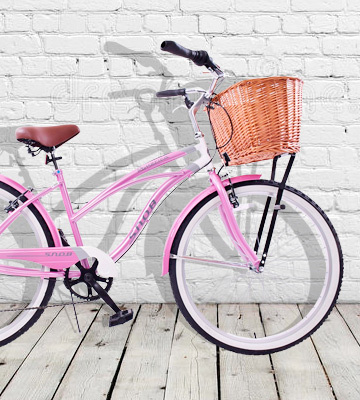 Combining the sense of sophisticated style with a vast variety of different comfort features, this classic ladies' pink cruiser bicycle is great for relaxed riding in any situation—rain or sunshine, beach or town. This stylish model boasts a hi-tensile steel frame that is painted in an attractive pink colour. The frame has the colour-matching fenders and chainguard to keep you dry when the weather is not that good. The 26" wheels are beautifully accented by the rims within the white wall tyres. Thanks to the 6-speed Shimano gears, the hills won't get in the way of your relaxation. 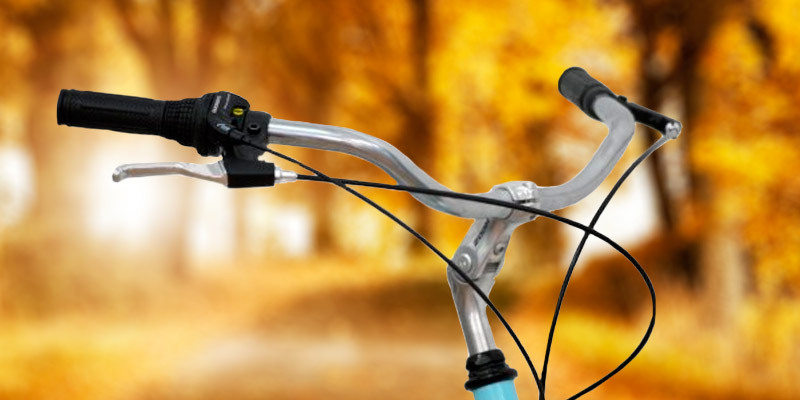 The wide cruiser handlebars offer an ideal positioning to keep your arms, shoulders, and back relaxed and comfortable. The good crank configuration allows you to roll smoothly across all paths, streets, or boardwalks, while a wide saddle with dual-springs absorbs bumps for a more comfortable ride. The bike also comes with a convenient front basket to carry your things. Overall, if you need a nice bicycle not only for recreational riding on flat terrain but also for long rides and climbing hills, this one will fit the bill. 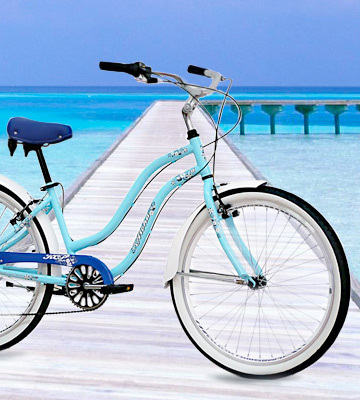 Breeze through your city, by the beach, or up and down hills with style! This bike can pick up quite a bit of dirt and grime, especially if you often ride on muddy trails. Therefore, it's important to give it a good scrub on a regular basis. Use a safe non-toxic cleaner or degreaser that will gently remove dirt from the bike. Mix it with water and wipe it down when finished. After cleaning the bike, you also need to oil the chain, gears, cables and derailleurs. Apply an even layer of oil while rotating your tyres, and then wipe off the excess oil with a dry cloth. 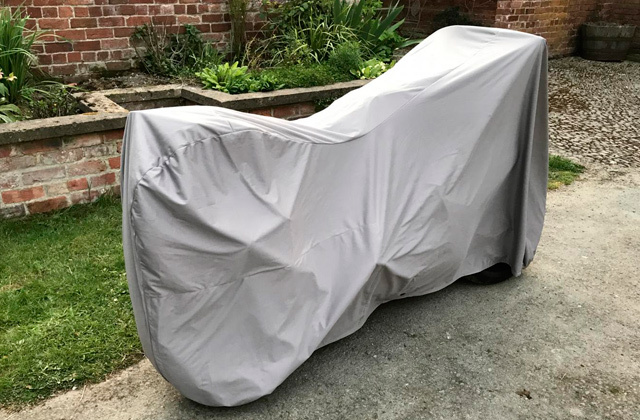 This will protect the moving parts from dirt and damage. One of the most efficient ways to protect this bike is to give it a solid powder coat. Powder coat will protect its frame against the elements and give it a personalized touch. So, if you want to maintain the aesthetic beauty of your bicycle, follow these simple tips. The Feral Santa Fe is an ideal cruiser for the urban landscape or promenade. It's nice, well-made, and comfortable to ride. It rides smoothly over even surfaces as well as dips and bumps. The bicycle is paint-coated with a satin gold colour, thus, it will beautifully shine when you're riding on the beach at sunset. 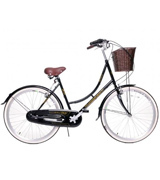 The bike has relaxed ladies specific frame configuration and can deliver you a stable upright ride. A wide saddle with springs, ergonomic grips, and return handlebars will add laid-back comfort to your journeys. The matching full-length steel painted fenders and steel chainguard add a nice touch to the bike and protect riders from any puddles they may come across. The cruiser features a strong steel chassis and a unicrown fork. Thanks to the powerful V-brakes, the bike ensures fast braking in all conditions. The 6-speed gear with rotational shifter provides maximum versatility, enabling you to go far distances and enjoy high-intensity riding. The reliable and efficient crankset configuration makes pedalling a breeze. 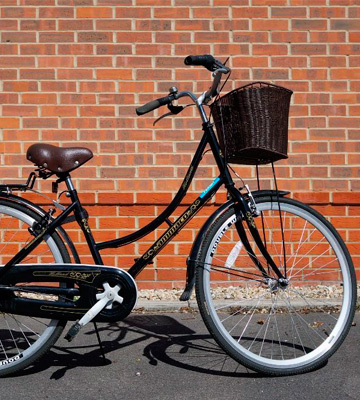 The bike weighs approximately 17kg and is suitable for ladies with inside leg measurements from 69 cm to 82 cm. In dry conditions, wider tyres are always better for traction. A dry road and dry tyres allow every centimetre of rubber to grab the road with no interference. Fat tyres are also much better for rainy days than skinny tyres. The grooves in the rubber are created to trap and remove water from the surface. Needless to say, the wider the tyre is, the larger its tread is. Wide tyres allow much more water to be expelled from beneath. Since wide tyres have a large contact area with a surface, they tend to float over the top of snow and ice rather than digging in. Therefore, they are not that good for snow-covered roads. Although the Feral Santa Fe is not a mountain bike, it will perform well on mud, dust, dirt, sand, grass, and rocks thanks to the wide tyres. What Is a Cruiser Bike? Nowadays, a bike is a popular means of transport, and it can be used for different purposes. 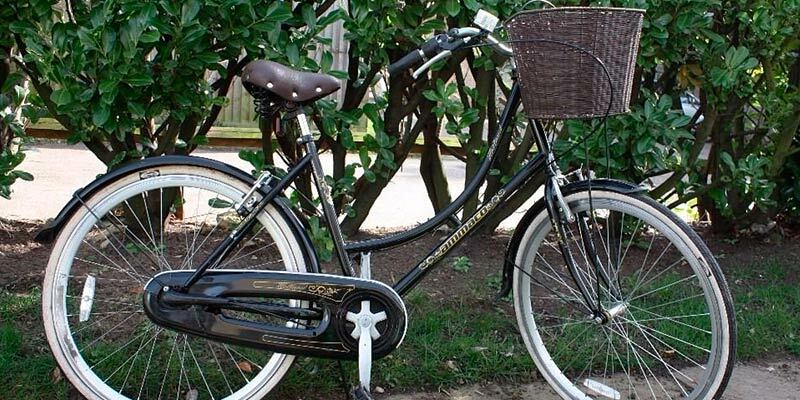 In this review, we'll consider the best cruiser bikes, extremely comfortable and designed for a leisurely city riding, rides along the seafront, trips to the beach or parks, etc. As a rule, cruiser bikes have an unconventional frame, longer wheelbase, wider tyres and seat, as well as a large curved and comfortable handlebar. For this review, we have selected only the best cruiser style bikes. So, keep reading and take a pick. If you're a fan of fast road cycling, then we recommend you to have a look at our review of the best road bikes. In case you look towards buying some means of transportation that won't be difficult to maintain and will be easy to carry around, you won't find a better option than a folding bike. 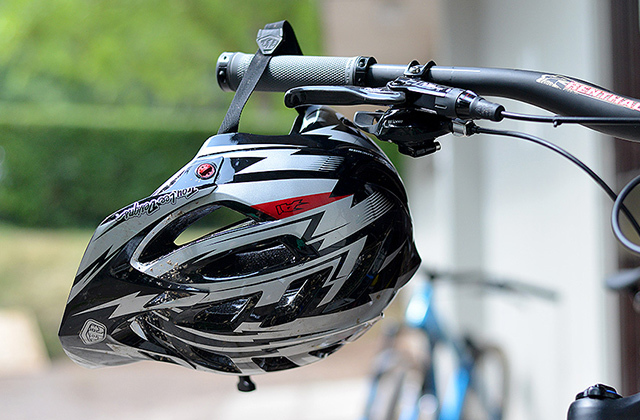 No matter what type of bike you eventually buy, you will need to invest in security gear as well. Our selection of bike helmets might help you in that. Generally, all cruiser bikes are divided into men and women types. This is justified by the difference in our bodies, so we recommend sticking to the right type. When choosing the model for yourself, please be careful with the size of the bike because it influences the riding comfort. The size of the bike is measured according to the rider's height, where the frame plays an important role. 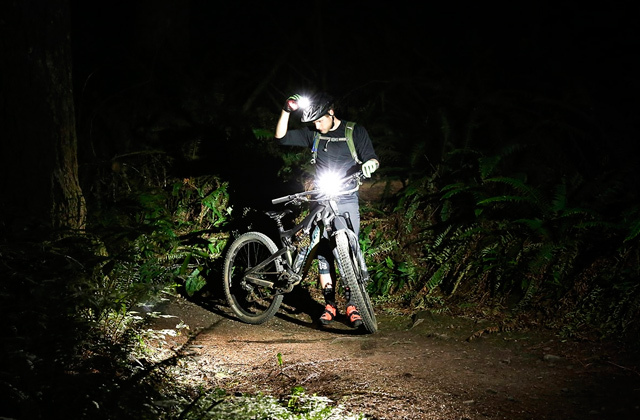 As a rule, the standard frame sizes are set out in inches for approximate understanding whether the bike will be comfortable enough for the rider. For example, the model with the frame of 15" is an excellent choice for a 5'–6' person. It is worth noting that some manufacturers point out the recommended user height itself. The cruiser bike consists of a frame, a fork, wheels, handlebars, and a seat. The frame is the main part of the bike where other structure elements are attached to. 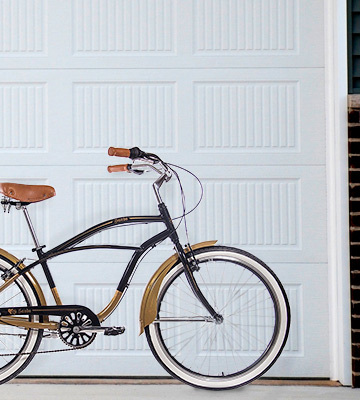 Basically, cruiser bikes may have an aluminum or steel frame. Manufacturers often use steel frames, which are heavier but cheaper. Aluminum frames are respectively lighter and have excellent corrosion resistance but the drawback is their high price. Pay attention to the fork. In general, they are also made of steel and can smooth your riding over bumps a bit. When choosing the wheels, take into account their diameter, the rim, and the material quality of the tread. It is better to choose a model with wheels made of aluminum or other alloy materials. As for the size, when you choose a larger wheel diameter, you get the best angle for passing obstacles and roughness. The optimal wheel diameter is considered to be 24"-26". As for the tyre width, here they are usually over 2". The tread in most cases is patterned, that is good for riding on the asphalt. Choosing the seat, take into account the springs, and choosing the handlebar, pay attention to the material of grips, they can be either rubber or foam. The brake system is one of the important things in the bike because you can drop the speed or stop in time when it's necessary. The rear foot (drum) brake or rim brake system is often used in cruiser bikes. 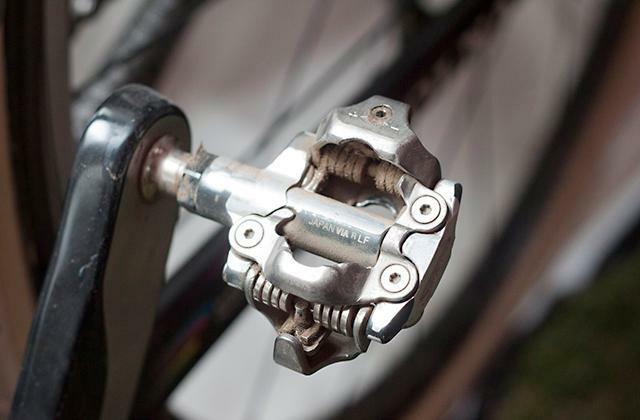 One of the advantages of pedal brakes is that they reduce rim wear and are efficient regardless of weather conditions. The downsides are non-efficiency in the case of the chain drop, great weight, and the load on the spokes and the wheel hub. As for the rim brakes, among the advantages there are their low weight, the absence of rim heating and low cost. The downside is the reduction of the effect in bad weather conditions, the brake pads require replacement from time to time. As for the velocity, the bicycle can have 1, 3, or 7 speeds. A single speed will be enough for a regular measured riding on a flat road. Using several speeds, you can go up the mountain comfortably or speed up when riding on a smooth road. Manufacturers can equip their cruiser bike models with additional accessories. Among the useful amendments you really need to pay attention to there is the luggage rack to transport small things, reflectors to reflect light when riding at night, a chain casing to protect the chain from dirt and dust, kickstands for easy bike parking, and also front and rear fenders to protect your bike or clothes from dirt. Some manufacturers may equip the bike with a basket where you can conveniently place a package with products, for example. In addition, the cruisers may have a drink holder that is very convenient and usable. The first world tour by bike around the world had taken place in 1884. The man who first accomplished the feat was an Englishman, Thomas Stevens. Since his childhood, Thomas read a lot about travels and adventures. He was thrilled. In 1872, he left his home and went to America, where he began working as a miner in Colorado. The traveller started from San Francisco on the old bike model called "penny-farthing". It is noteworthy that the bicycle had a five times bigger front wheel than the rear one. He took with him only a pair of socks, his shirt, and a revolver. Then Thomas set off and after covering 3,700 miles he reached Boston. So it was the first transcontinental journey by bicycle. The traveller spent winter in New York and then continued his riding through England, France, Germany, Austria, Hungary, Slovenia, Bulgaria, Turkey, Armenia, Kurdistan, Iraq, and Iran. It's interesting that the traveller wasn't allowed to travel through Siberia, so his route was changed and he continued across Afghanistan. Then the hero rode to India, from Calcutta to Hong Kong, southern China, and Japan. His historical world tour ended in December 1886, when Stevens came back to San Francisco from Yokohama by ship. An absolute record for speed when riding a bicycle is a 268 km/h. This truly stunning result was set in 1995 by a Dutch cyclist Fred Rompelberg. He gained the maximum speed riding behind a specially equipped racing car with a special dome for minimum air resistance. An interesting fact is also that at the time of Fred's record he was already 50. When was the first cruiser bike created? The history of the cruiser bike dates back to 1895 when the first sample of this bike type was manufactured. The first company that released a cruiser bike was the Schwinn, owned by a German bike developer Ignaz Schwinn, who founded the company in the United States. The interesting fact is that the founder had died before the first cruiser bicycle appeared. This type of bike gained a great popularity in 1933, during the Great Depression that America experienced at that time due to the severe economic and social crisis. The first popular and recognized model was the Schwinn B-10E, which all the Americans liked because of its comfort and excellent riding dynamics. The world's most expensive bike. Butterfly Trek Madone! This is the most expensive bike in the world created by the famous artist Damien Hirst. In order to beautify his creation, the British artist grew more than one hundred butterflies to use their wings as the decoration of bike's frame and rims. Such creative bike looked very impressive but was exposed to a lot of criticism from societies of nature and animal protection. This bike was created so that Lance Armstrong could ride it on Tour de France, in 2009. People predicted that the price of this bike would make incredible $1.3 million, but the Sotheby's auction selling stopped at $500 thousand. Nevertheless, it is still the highest price that has ever been paid for a bike. All the money went to the Lance Armstrong's charity foundation. The numerous benefits of cycling. The bicycle is not only a means of transportation but also a sports trainer. In fact, cycling is proved to improve sleeping. That's because the stress hormone cortisol leaves the body during the riding. Another important advantage of cycling is that you can lose weight faster: 1 hour of active cycling and you can burn up to 600 calories! Also, cycling enhances stamina, so you'll feel more energetic throughout the day. Moreover, cycling does wonders to your digestion, since the metabolism increases when you are riding, and it improves your appetite. One more benefit of cycling is strengthening muscle tone. If you ride a bike regularly, you will be able to tone muscles of your legs, chest, back, and arms. How many bicycles are there in the world? According to statistics, there are about 1.6 billion bicycles in the world. Few of us know that the Netherlands is also called the country of cyclists as almost every citizen of this country has a bike, to be more precise, 99% of Netherlanders ride this type of vehicle. But compared to China, the number of Netherlands' bikes is a drop in the ocean, as more than half of all bicycles in the world are widely used in this country. Impressive? Yet, it's not surprising since more than a billion people live in China, and more than 50% of them pedal to work every day. Q: How to find the right size for me? A: When it comes to cruiser bicycles in terms of sizing, there seems to be the least amount of available information. Unlike road bikes and mountain bikes, there are no special sizing charts for cruisers. However, most manufacturers indicate what leg inseam the bike is good for. So, you should figure out your leg inseam to find the right bike size. Take off your shoes and stand with your legs about 15-20 cm apart, and then measure the height from your crotch to the ground. That's it. If a manufacturer doesn't indicate what leg inseam the bike suits, you can calculate the right size by yourself. Leg inseam (cm) x 0,685 = your frame size. Right saddle height also plays an important role. If it’s overly low, you won’t have enough power to pedal. 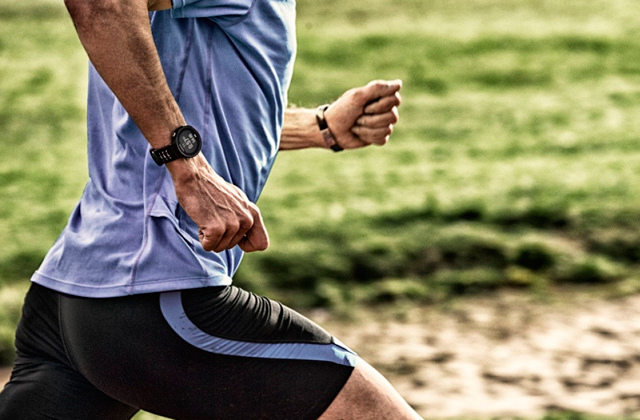 Even when the seat falls a few centimetres down from normal, you can lose about 25-50% of your leg force. The easiest way to adjust it properly is to lean yourself to the wall with your elbow when sitting on a bike. Next, stretch your leg to the lowest point but parallel to the ground. And then move the seat up or down until you get nice bend behind your knee. The bend should be around 30°. Q: How to care for my bike? The best way to prolong the life of your cruiser is to keep it clean. For this, you don't need fancy cleaning kits. Just use a sponge, an old toothbrush, some soapy water, and a degreaser. Keep your tyres always inflated, as poorly inflated tyres tend to get punctured. Check your brake pads regularly. You can figure out that they are worn if you can't see the grooves. If the brakes squeak, the chances are that they are just dirty. Clean and dry brakes and wheel rims, however, if that doesn’t work, you might need to re-adjust them. Once your brakes have become too sluggish and lacklustre, you need to tighten them up. Twiddle the barrel adjuster by the brake lever. Oil all parts of your bike where metal touches metal with a bike-specific lubricant on a regular basis. Before oiling, clean every part properly. We recommend you to buy latex gloves, as bike oil is extremely difficult to get out from under the nails. Check whether your wheels are “true”. Turn your bike upside down and spin the wheels. If they wobble a bit from side to side, they need to be fixed by professionals. It's advisable to get a professional service at least once a year. Q: How to inflate tyres properly? A: The right tyre pressure really matters. If you find that your legs are feeling heavy and you’re riding slower than usual, you might need to pump up your tyres. Usually, the pressure range for a tyre is printed on its sidewall in psi (pounds per square inch). 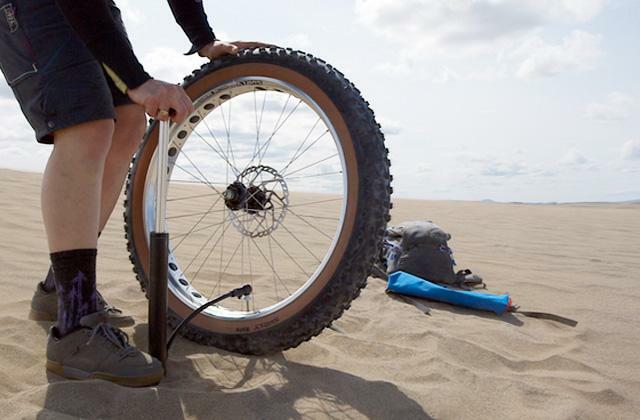 Generally, the tyres of hybrid and cruiser bikes need to be inflated up to 50 – 70 psi. 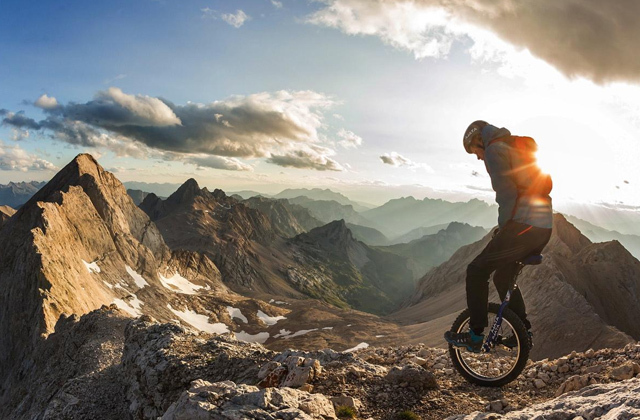 Though it’s usually a pretty wide window, and the "right" tyre pressure depends on the terrain you are going to ride, the weather conditions, and your weight. And here are some tips how to make your ride comfortable. It's a well-known fact that the higher the tyre pressure is, the lower the rolling resistance is. For example, you can run your tyres a bit softer for extra grip if the trail is muddy and the weather is bad. But remember that continuous low pressure might lead to tyre wear. If you have a wide tyre, you may also play around with pressures. 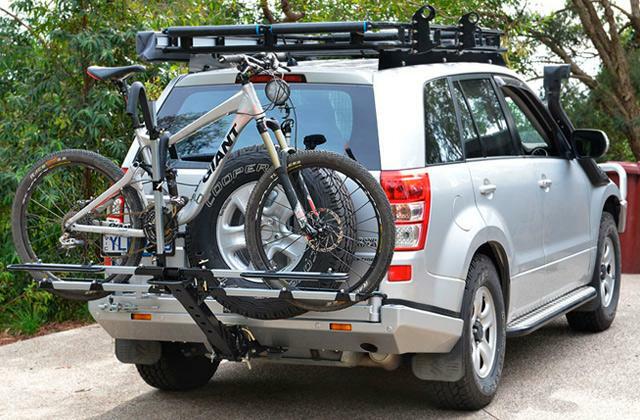 Wide tyres with low inflation pressure absorb bumps better and, thus, are ideal for mountain rails. For super fast riding on smooth roads, it's advisable to inflate tyres to the maximum permitted pressure. Keep in mind that the pressure you put on your tyres will always reflect the ride quality you want. A light rider generally needs lower pressures, while a heavier rider should go for the higher end of the scale. 1. Amy Schlinger How to Pick the Best Bicycle for You, DAILY BURN. April 21, 2014. 2. Bikes: How to Choose, REI. 3. Kristin Wong The Beginner's Guide to Picking the Perfect Bicycle, Lifehacker. June 23, 2016. 4. Bike Cruisers Buying Guide, eBay. March 10, 2016. 5. Bike Buying Guide, Consumer Reports. April 2016. 6. Cruiser Bikes, Wikipedia. November 14, 2016. 7. Lana Billings-Smiths Comfort Vs. Cruiser Bicycles. July 3, 2015. 8. Luke Ameen Why Beach Cruiser Bikes Should Have Gears and Brakes. 2016.